S.S. King, a Populist, writes about the plight of the farmer and the small increases in farm values as compared to other sectors of the economy. He presents a number of statistics from the 1890 census. King contends that some government officials do not want the people to understand the implications of these statistics. His goal is to unite farmers and workers to address what he views as their common enemy. 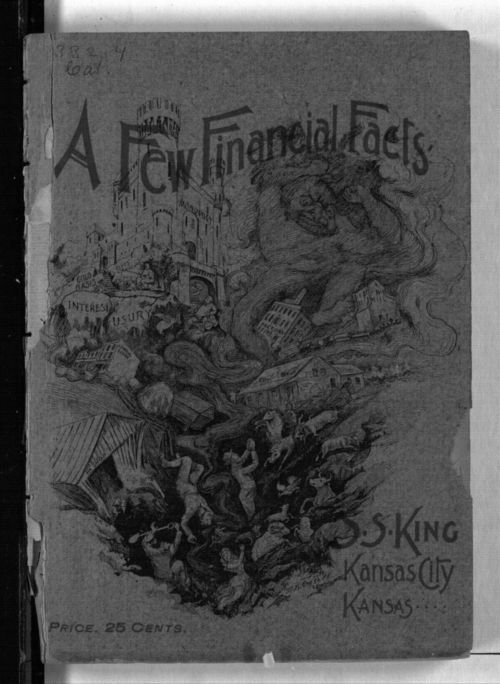 King lived in Kansas City, Kansas. The book's full title is "A few financial facts, being a series of kindergarten lessons on the Silver Question, with sixty-two illustrative diagrams, showing clearly the misfortunes that have come to the people, the causes that produce them, and the remedy that will remove."